Read more about the day in the Herald Express. 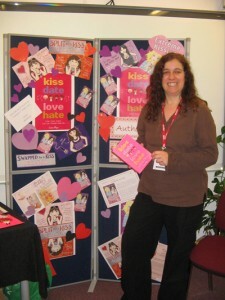 The next day, I went to Torquay Community College to talk to a group of students about writing and blogging. We had a brilliant time creating characters and discussing books. Saturday was my book signing at Waterstone’s in Newton Abbot, where I chatted to some fantastic readers. Thank you very much to all the wonderful students, teachers, readers, bloggers, staff and shoppers I’ve met in the past week!